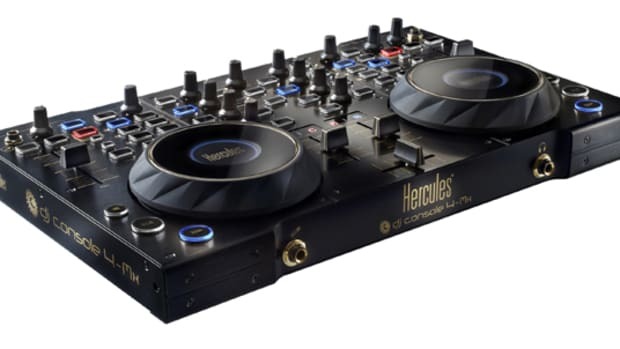 Hercules has been bringing out media controllers since they were innovations in the DJ marketplace. 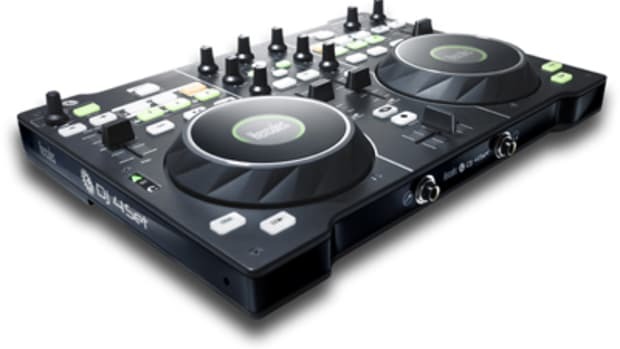 Nowadays, it seems like every DJ company is bringing out their own all-in-one media controller just to say they have a product in that market place. Often times, the new units are exact re-incarnates of other manufacturer units that are already on shelves. 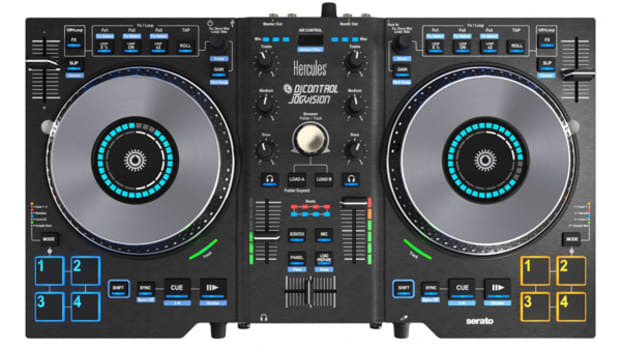 The Hurcules 4-MX has just been announced so that DJ's who need access to 4 digital decks will now have a Hercules option to go on their list. Hercules has been bringing out media controllers since they were innovations in the DJ marketplace. 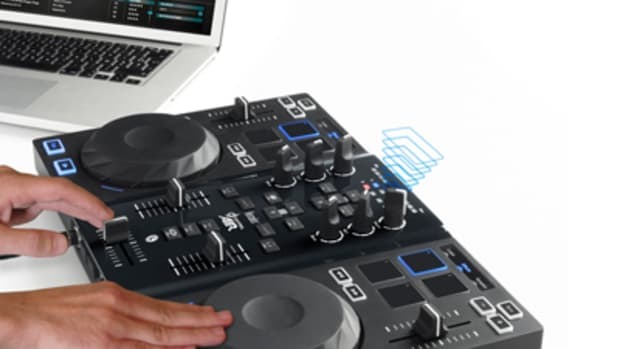 Nowadays, it seems like every DJ company is bringing out their own all-in-one media controller just to say they have a product in that market place. Often times, the new units are exact re-incarnates of other manufacturer units that are already on shelves. 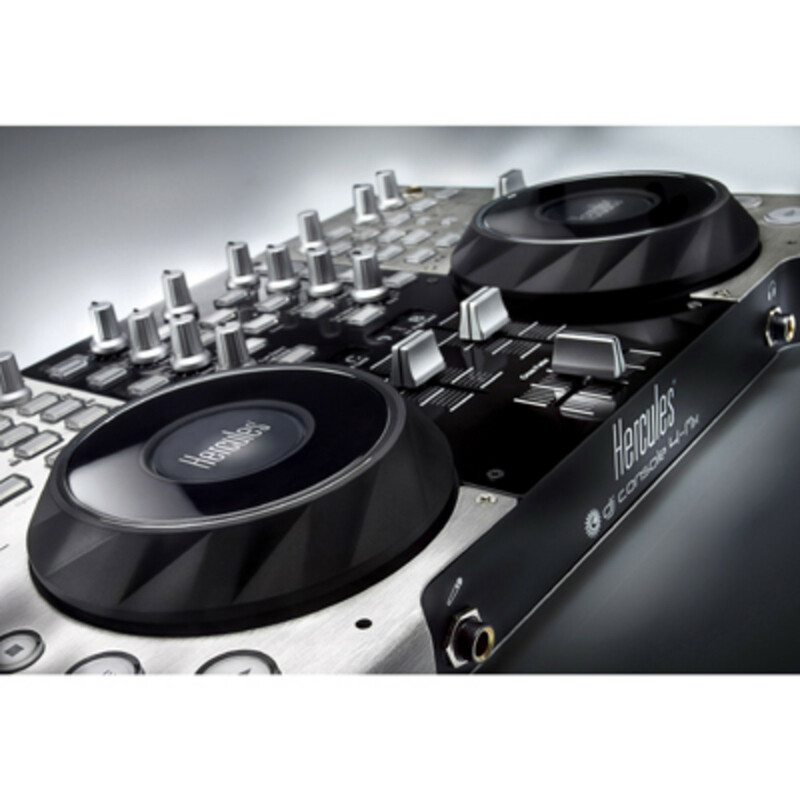 The Hurcules 4-MX has just been announced so that DJ&apos;s who need access to 4 digital decks will now have a Hercules option to go on their list. The unit boasts two large jog wheels and functionality for 4-deck controls, along with an all-metal sturdy outer shell. Maybe they aren&apos;t all created equal after all. How this stacks up to the American Audio, Xone, or Native Instruments 4-deck digital units is anyone&apos;s guess, but we will be back to review a few of these highly requested units within the coming months, so stay tuned for more information coming shortly! With every DJ equipment manufacturer creating their own version of a 4-channel or 4-deck Digital Media Controller, it was only a matter of time before Hercules would get in the mix. 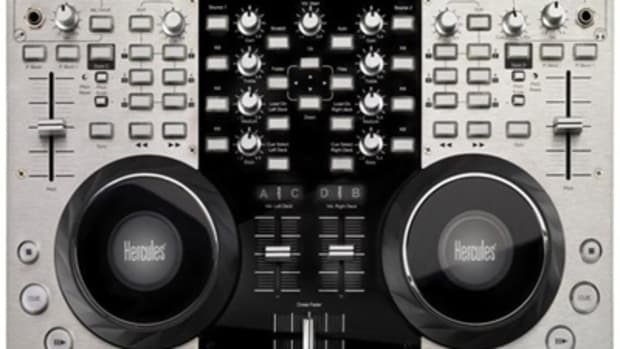 Hitting the store shelves soon is the Hercules DJ 4Set digital media controller. 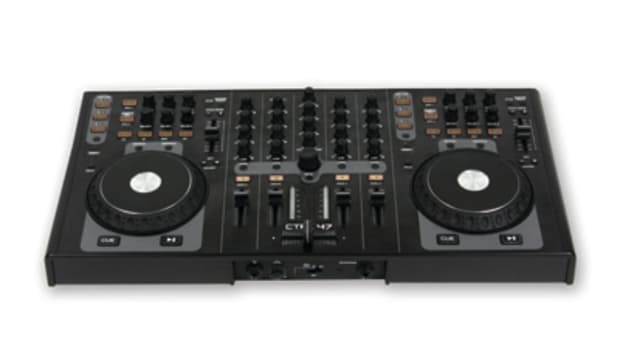 They are advertised as having scratch-worthy pressure sensitive jog wheels and loop-deck functions similar to the Traktor S4. At a very affordable $249 retail price, they may just be worth a try. (Press Release and Details Inside). 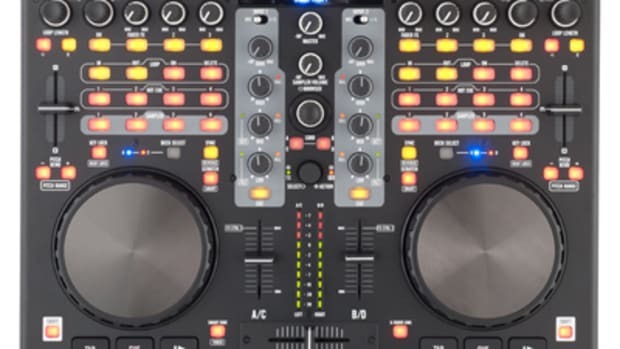 The Hercules DJ Controller company has sent me a brand new Hercules DJ Console 4-MX Digital DJ Controller for a full video review. I am working on the review right now and it will be released by Monday of next week. In the meantime, I am going to give you all a quick teaser video showing the unboxing and initial impressions of the 4-MX DJ Controller. With a great price and a good feature set, this controller has been generating a lot of interest from seasoned DJ's to beginners alike. Check inside for the short teaser video and tune in next week for the full video review. The NAMM show this year is off to a great start and Hercules is also throwing their hat into the mix (no pun intended) with an all new Black Edition of their Hercules 4-MX Digital DJ controller. 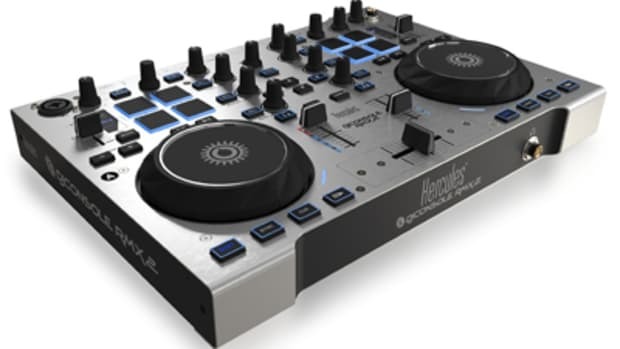 The Hercules 4-MX DJ controller is a sturdy, 4-deck DJ controller that is compact, but still provides lots of DJ control. The Hercules RMX-2 is also on hand at the NAMM show along with the whole headphone and speaker lineup that were released last year. Lots of DJ's will also be there to rock the show. Check out our reviews of both controllers and the official NAMM 2013 Press release after the jump.